With construction soon to begin on the new student health center to be situated on the northwest corner of Elm and 18th Street, the future facility was named the W. Lloyd Wright Student Wellness Center, after former Colorado School of Mines physician Dr. W. Lloyd Wright. Once completed in the spring of 2012, the $2.8 million, 9,000-square-foot facility will offer students a full range of medical, dental and counseling services under one roof. It will also include flexible conference and meeting space, an outdoor courtyard and a second-floor patio. Construction of the W. Lloyd Wright Student Wellness Center will be largely funded by 1956 alumnus and CSM Foundation Board of Governors secretary F. Steven Mooney, and his wife, Gayle, through their Galena Foundation. The Mooneys chose to name the facility for Steve’s uncle, Dr. Wright, to honor his service to Mines and the broader Golden community. Dr. Wright practiced in Golden from 1946 until 1980, serving as Mines’ part-time campus physician, and later as medical director at Coors Brewery. He then served as medical director at Rocky Flats until 1988. In retirement, Dr. Wright and his wife, Jodie, moved to Paonia, Colo., where they’ve remained active in their community. At a December luncheon, more than 180 family members, friends and former patients paid tribute to the Wrights. “I’m honored and humbled to have the new wellness center named for me,” said Dr. Wright. 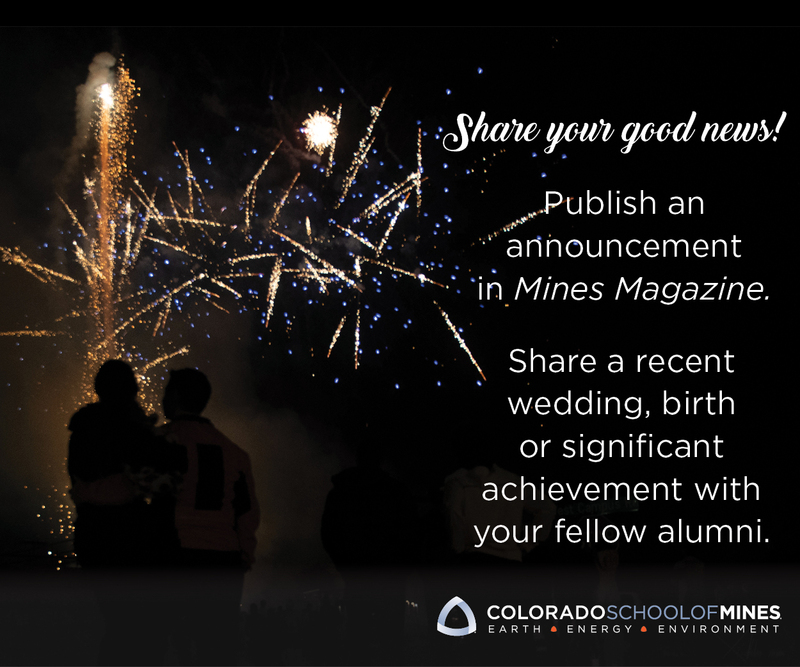 “The new center will be an excellent facility for Mines students.” Dr. Wright was awarded the Mines Medal in 1986 for his contributions to the campus community. “Our campus will benefit enormously from having one facility where the elements of professional and compassionate health and wellness services come together,” said Ron Brummett, director of student services. Designed to complement existing campus architecture, the ground floor of the LEED-certified facility will house the Mabel M. Coulter Student Health Center and a student health benefit program office. The second floor will include student disability services, a dental clinic, and academic and therapeutic counseling services. When work begins, it will bring the total number of major construction projects under way on campus to four. All told, they add up to a quarter-million square feet (five football fields) of new construction, at a cost of $100 million.